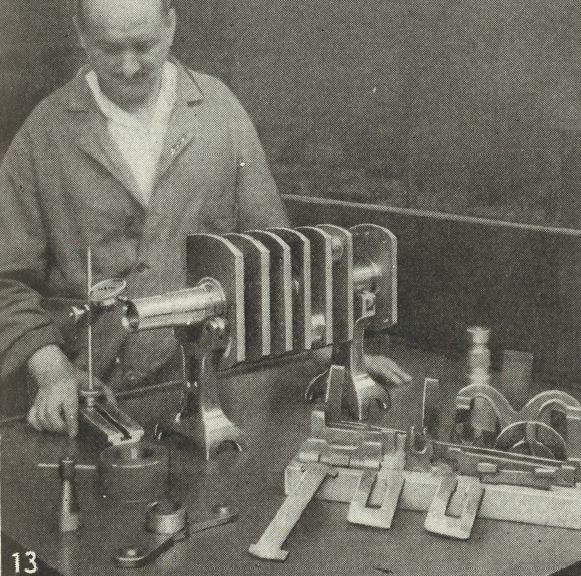 In the 1920s, the respected publication, American Machinist, printed several articles on Lancia and their manufacturing techniques. The publication had a history of printing long stories and in depth investigations into esoteric matters – one example was their tracing the Connecticut River Valley’s strong tradition in machining (home to a number of American gun makers) from its origins in a small Vermont village fifty years earlier. Their in-depth investigation included many details about the Lambda, as they covered the manufacture of front suspensions, pistons, engine blocks, heads, crankshafts, brake drums, and its unitized body. Also studied was information flow within the company, as they viewed Lancia as a model for combining craftsmanship and industrialization under well-considered and detail-oriented management. Written by J. A. Lucas, they ran about a dozen articles through 1928 and into 1929. Efforts to find their archives, or Lucas, have not been successful. Several years ago, a complete run of the articles was located at the U.S. Library of Congress. At that time, a reprint was made available although the original microfiche scans were of poor quality. Since then, originals have been located and better scans made. Two are available here – Lambda 1928 crankshaft and Features of the Lancia Plant 1928. The not-so-pretty but complete reprint can be found here: Lancia reprints.